Homeowners are expected to purchase a warranty when they are buying a new roof. Warranties are an important part of the deal. 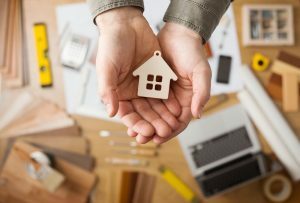 Nevertheless, many homeowners don’t know how to look at the fine print when it comes to warranties or why they would need warranties to begin with. Why are Asphalt Shingle Warranties Necessary? Asphalt shingle roofs are the most common type of roof you will see around. When people are talking about roofs, they are usually referring to asphalt roofs. Asphalt shingles are the most affordable roofing material. They are also very durable. Nevertheless, they will not last forever. A shingle roof is susceptible to damage from unforeseen circumstances. Your roof usually represents a huge investment. It is desirable that you are protected (to some extent) when your roof is damaged. Warranties provide this protection. Not only do you need to know what the warranty covers, you need to know what it does not cover. There are usually two main warranties for your roof: the manufacturer’s and the contractor’s warranty. The manufacturer’s warranty is limited to defects in the shingles that have been caused by the manufacturing process. They do not cover damages that occur to your shingles because of flaws in the installation. Such warranties cover only the cost of the material, the labor, disposal and any other additional cost is not included. The contractor’s warranty is given by the roofing contractor and covers installation and quality workmanship. Both of these warranties are important and you should ensure you have them when installing a new roof. Be Aware of Prorating Warranties. A prorated warranty is that in which the amount decreases with time. Most warranties will be made for a short, initial period during which the manufacturer will pay for all the expenses if the shingle fails. After this period, however, the amount decreases every year and may even go down to zero. Claims on a warranty are not a walk in the park. It is important that you roofing contractor is experienced and helpful so that they can work hand in hand with the manufacturers throughout this process. Such a roofing contractor would have handled similar claims before and they will be able to guide you through. Manufacturers will usually certify contractors to install their products. They certify roofers with proven track record and competence. Certified contractors have the ability to offer much more comprehensive warranties. A certified roofer will also ensure proper installation of your shingles, failure to which your warranty might be void. Many roofers will be quick to promise protection for life. All promises are void unless they are put on paper. When looking for a roofing contractor, take into consideration the value and the trustworthiness of their warranties. Demand to have any agreement on paper. As a homeowner, when you are gazing at your roof and see some signs of aging or damage, you often start wrestling on whether to just patch up the damaged sections or to simply replace the entire roof. Either choice will come with its own advantages and disadvantages. Which route you take is dependent on several factors but should always address your present needs. Below are key things you should consider before choosing whether to repair or replace your roof. A well-maintained roof should be able to last at most 20 years. It is crucial in terms of the expense that you get the maximum longevity. The age of your roof is thus an important factor in settling the question of whether to repair or replace. To get the most out of your roof, always do an annual checkup of your roof, clearing any debris, check out for leaks, damaged shingles and mold development. Don’t insist on doing repairs on your 25-year-old roof just because the damage doesn’t seem that bad, the old roof might be hiding other potentially worse problems underneath. Water is quite a destructive element. If water is able to penetrate through your roof’s shingles, it can quickly make its way to your home’s interior. Once there, it can do some serious damage and even cause health problems. Look at your interior walls for moisture marks or brown stains. If the paint is also pealing, it may indicate that your roof is seeping in water. For a small leak, a short-term repair may be all you need. However, if there is extensive moisture damage to the roof layer, you will need a full roof replacement. The roof should be inspected after a recent adverse weather condition such as a tornado or a hurricane. In most cases, such catastrophes will result in a level of damage beyond what is immediately visible. Bigger problems may be lying underneath the roof and it is a far much wiser decision to replace the entire roof. Your shingles could be curled, split, torn or completely missing, all these conditions could be caused by many reasons. Localized damage may be fixed by a simple repair. However, if more than 30% of the entire roof has been damaged, a new roof may be a better answer. It is not always clear what kind of treatment your roof needs. Luckily for you, you can always enlist the help of an experienced roofing contractor. The roofer may be able, through a thorough inspection, to determine if only a repair is needed or a completely new roof is to be installed. 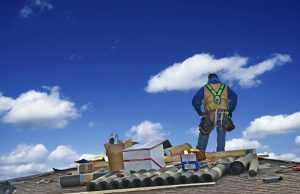 Every property manager and the homeowner will tell you that multi-family unit roofing projects are not for the faint-hearted. With large properties and many tenants, things could get overwhelming for those in charge. These projects are better left to a capable and seasoned professional who is familiar with the 2012 International Building Code (IBC) and who will answer and address all your roof repair concerns while the job is ongoing. Multi-family housing roof repairs are challenging to say the least. A single leak can begin on an end unit and move through and across the sheathing and end up dripping into an attic space on a unit in the interior. Going up ladders to the attics of several houses is no easy task, certainly not for a homeowner or a property manager. It is recommended that you always have a roofing professional do your roofing repairs, both for single-family residences and multi-family units. Trying to do the work yourself will most likely result in you violating HOA covenants and rules. This is a big concern to homeowners in an HOA. Whose bank account is going to be billed for a multi-family housing roof repair? What comes next after the HOA has been notified of a potential leak? The homeowner and the property manager need to consult with the HOA Board of Directors. In most cases, HOAs tend to promptly respond to owners’ issues since this is vital to preserving the property value. Roof leaks usually affect a common area, thus are covered by the special reserves that everyone in the HOA pays for. An experienced roofing contractor will know how to handle the payment nitty-gritty for multi-family housing roof repair. Your home’s roof is just about the most crucial part of it. This is why you need to take good care of it. Most people do not consider the roof until a heavy rainstorm passes and they have to grab buckets to contain the leaks that have sprung from the worn and damaged roof. You do not want to go through this. Take the time to inspect the roof on a yearly basis. You can usually notice any damage, if it is severe enough, just by looking at the roof. If you climb a ladder to get a closer look, you will see more problems if they are there. Be careful, though, climbing a roof should be something you let your roofer do. How do you know when the roof needs to be replaced and is not in need of a few minor fixes? The following list outlines the major signs that you need a new one. If the roof is over 25 years old, it is time to get it replaced. Some roofing materials can last longer than this, but if your roof is like most, it is made of asphalt shingles and will only get through a few decades before needing to be overhauled. When you do your inspection, do it in direct sunlight so you can see if any of the shingles have started to curl or buckle. These are the main signs that the roof is not only getting old but that it needs replacing. If it is not very old, check that it is still under warranty. Get in touch with your local roofing company. They will be able to replace it according to the warranty terms which means you do not have to pay for it. Check the gutters when getting up on the roof. Are there any granules in them? If so, it is probably time to get a new one. If the color on the shingles is changing, this is an indication that the granules have worn off. If there are dark streaks along the shingles, it can mean it is time to get a replacement, but the algae that cause this problem can be cleaned off. Use a blend of water and bleach and spray it using a garden hose. Be sure to run it at a gentle setting, so it does not take off the granules from the shingles. If the cleaning does not help, make sure to contact your roofing company for advice. If you notice the moss accumulates on the roof often enough, it is more than just an eyesore. It can damage the shingle granules, too. While it can be brushed off, it usually grows back. If it keeps recurring, it can do irreversible damage to the roof. One last sign that it is time to get a new roof is that the current one looks worn out. If you are unsure if it is time to get it replaced, contact your local roofing experts for help. When building your house, always insist on having a qualified and proven contractor to do the job. Poor installation initiates most common roofing problems. It also affects the lifespan of your roof and replacing your roof now and then can prove to be very expensive. Strive on getting your roofing done right from the onset and be sure to have a problem free roof for a long time. Ageing or physical damage can cause leaks on the roof. When your roof gets old, it is normal for it to start leaking especially on the joints. It is important to spot these leaks as they let in water and moisture that may lead to rot. Leaks are also uncomfortable as they let in water which may fall on items in your house and damage them as well. Some people have a soft heart for nature and would gladly allow birds and other animals to hang around their home. Caring for nature is good but do not let that ruin your home. Small birds and insects can cause a significant amount of damage to your roof, and it is best to evict them before they get a foothold. Flashing refers to the seal that covers the areas that are bored to allow for the passage of pipes and ducts. Flashing should be installed correctly as it can lead to problems for your roof. When poorly done, it leads to open seams and laps, and this eventually lead to tiles blowing off. Improperly designed flashing could also lead to a decreased puncture resistance on your roof. Roofing ventilation is an essential part that plays a huge role in ensuring your roof lasts long. Natural ventilation is achieved when vents are placed on the bottom side of the roof and close to the ridge to allow the warm air to leave through the top and the cool air through the bottom part. Proper ventilation ensures that the temperature and moisture levels in the attic are optimal. Lack of these optimal temperatures and moisture levels can lead to problems on the rafters, shingles, sheathing, and insulation while also stimulating the growth of mold and mildew. This is perhaps one of the greatest enemies of your roof. Most roof issues begin as small and negligible ones and then end up becoming severe and lead to extensive damages. Ensure you schedule regular roof maintenance and avoid having severe roof issues. The mentioned problems are a few roof issues worth watching out for. Take care of your roof and be sure to have a fantastic home for many years.